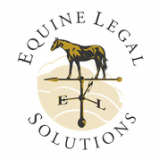 Rachel Kosmal McCart regularly speaks on equine legal topics for local equestrian groups as well as at national events such as the American Quarter Horse Association national convention and The League of Agricultural & Equine Centers national symposium. Need an Equine Speaker for Your Group? If you would like to talk with Ms. McCart about speaking to your equestrian group, please Contact Us. Ms. McCart does not charge a speaker’s fee and asks only that the host group reimburse her for her out-of-pocket travel expenses. Each attendee at Ms. McCart’s talks will receive a free equine liability release, and Ms. McCart provides detailed handouts for attendees to take home.